The Capital Region International Airport offers commercial passenger flights from several major airlines with easy connections to the world. 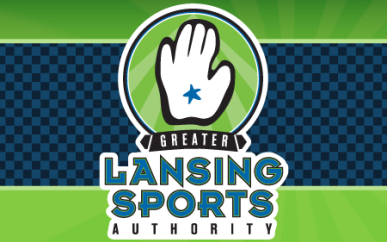 Both business and leisure travelers from throughout Michigan find the Lansing airport very convenient and easy to use with low-cost parking close to the main terminal, low-fare charter flights to several destinations, and quick efficient security screening. The Capital Region International Airport is located in the middle of Michigan just minutes away from downtown Lansing and the State Capitol and just a short highway drive to most major Michigan cities and travel destinations. Directions: FROM NORTH: 27 South to 69 West. Take 69 West to Airport Rd. (Exit 84). Turn left (south) on Airport Rd. Take Airport Rd. to Grand River Avenue (Airport Rd. will deadend). Turn left (southeast) on Grand River Avenue. Airport on lefthand side (north) approximately 1 mile. FROM EAST: 96 West to 127 North (Exit 106B). Take 127 North to 496 West. Take 496 West to Waverly Rd. (Exit 3). Turn right (north) on Waverly Rd. Go approximately 3 1/2 miles to Grand River Avenue (Waverly will deadend). Turn right (east) onto Grand River Avenue. Airport will be on the lefthand side (north) approximately 1/2 mile. FROM SOUTH: 127 North to 496 West. Take 496 West to Waverly Rd. (Exit 3). Turn right (north) on Waverly Rd. Go approximately 3 1/2 miles to Grand River Avenue (Waverly will deadend). Turn right (east) onto Grand River Avenue. Airport will be on the lefthand side (north) approximately 1/2 mile. FROM WEST: 96 East to Grand River Avenue/Bus. 96 (Exit 90). Take Grand River Avenue east approximately 4 miles. Airport will be on lefthand side (north). Hours of Operation: For flight information, contact your airline or check airline website.